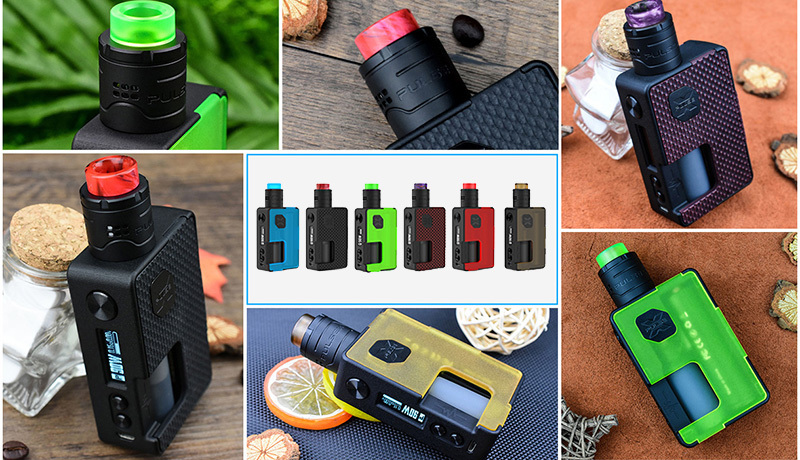 The new Vandy vape pulse X still designed by Tony B, not just the upgraded version of pulse squonk vape kit, there are many new designs.there are 7 colors available, the full vandyvape kit includes pulse X squonk box mod and pulse X RDA tank. powered by single 20700, 21700 or 18650 battery and max output 90watts. 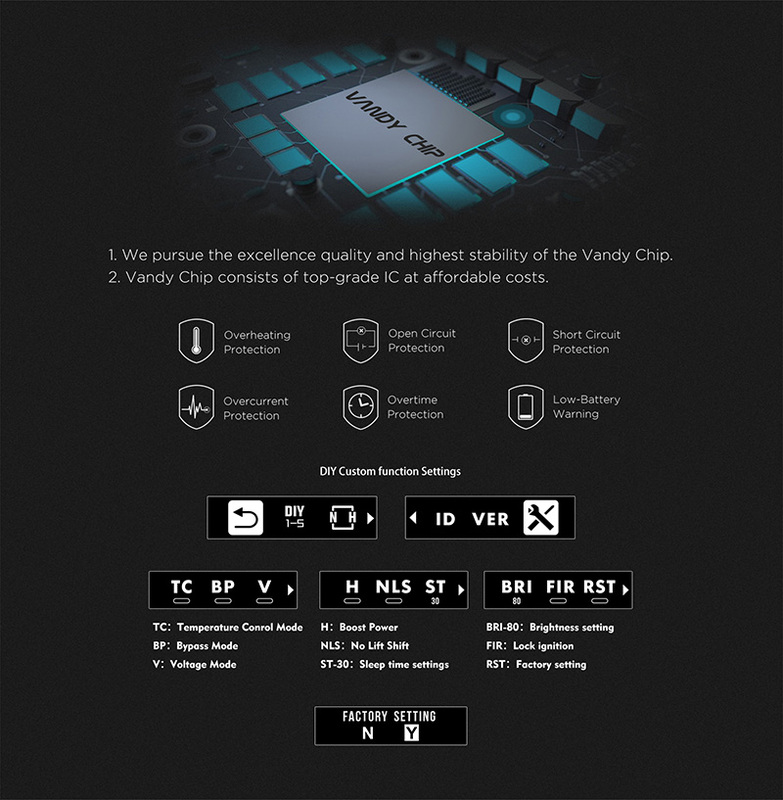 After lying by voopoo company about the voopoo chipsets, this time tony definitely not use the voopoo chip again, in fact, the pulse X built-in Vandy chipsets, which design and produce by Vandy vape company. the Vandy chip consists of top-grade IC at affordable costs and reliable, rapid firing and precise output control.there are three working modes selectable: Temp control, Bypass and Various Voltage. 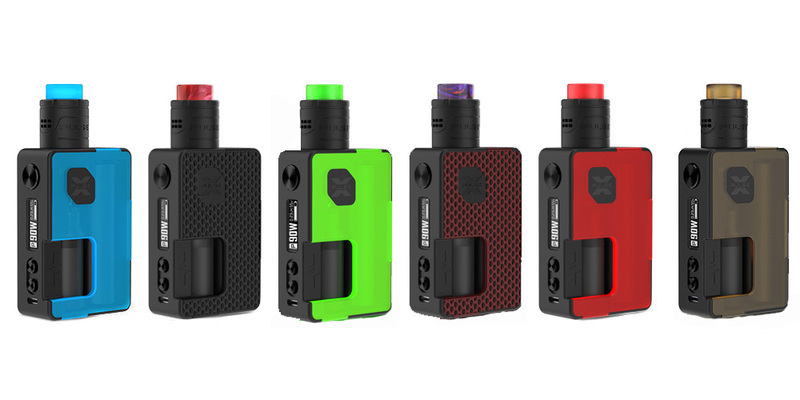 powered by single 21700 or 20700 or 18650 with the 18650 adapters, max output 90watts, under temperature control mode, it supports resistance as low as 0.05ohm. 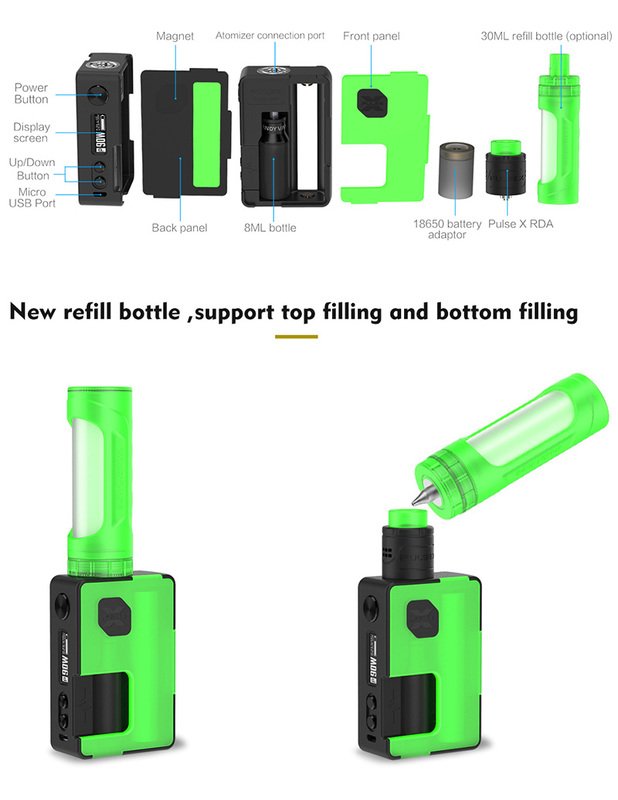 The pulse x built-in 8ml squonk e juice bottle, allow it can work longer without refilling, it can be refilled with the 30ml silicone refilling bottle, no need to take out.vapers can order the 30ml silicone refilling bottle here. 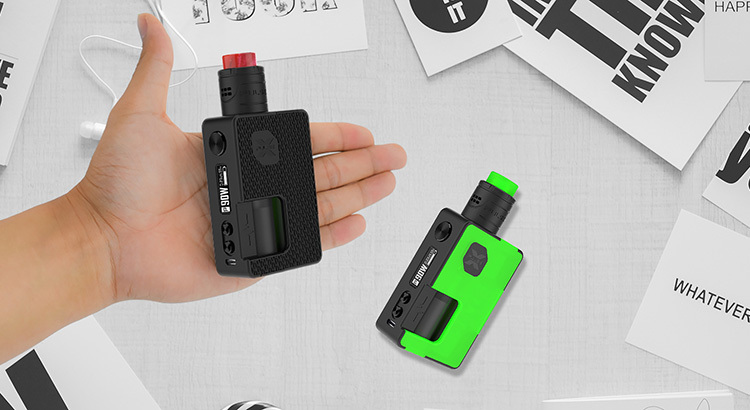 The pulse X RDA with innovative building deck, the deck can accommodate vertical or horizontal coil building, supports single coil or dual coils builds. the new Vandy vape RDA allow top refill or bottom feeding, the top squonk feed and bottom juice return design allows all e juice can be used properly. it comes with stainless steel cap and frosted cap, vapers can select the preferred cap you want.